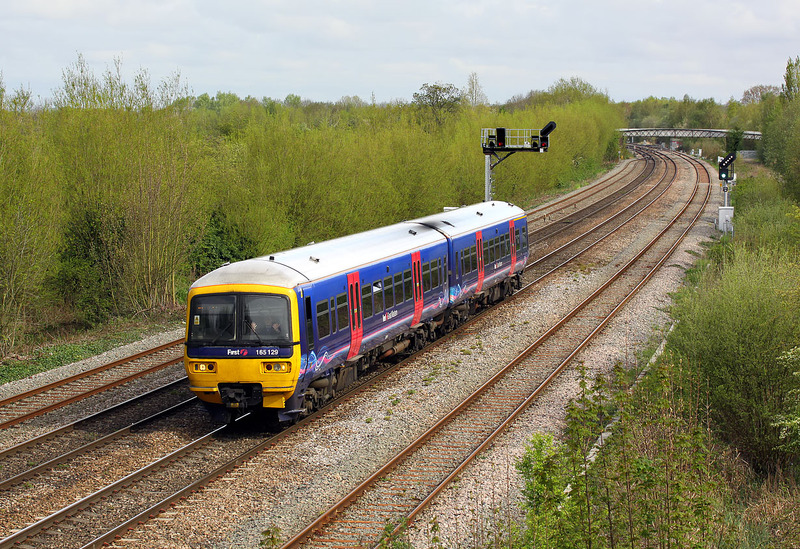 Strange hand gestures from the driver of 165129 at Walton Well Road, Oxford, on 5 May 2012. The unit is working the 2L39 09:02 Banbury to Oxford First Great Western service. Note the green signal and feathers on the right for 165014 with the 2L08 09:28 Oxford to Bicester Town Chiltern Railways service.